ERP Risk Advisors is pleased to announce the publishing of two new articles for ERP Cloud in our Risk Advisory series. Both of these articles are only available to end user organizations that are considering implementing, are implementing, or have implemented Oracle's ERP Cloud software. 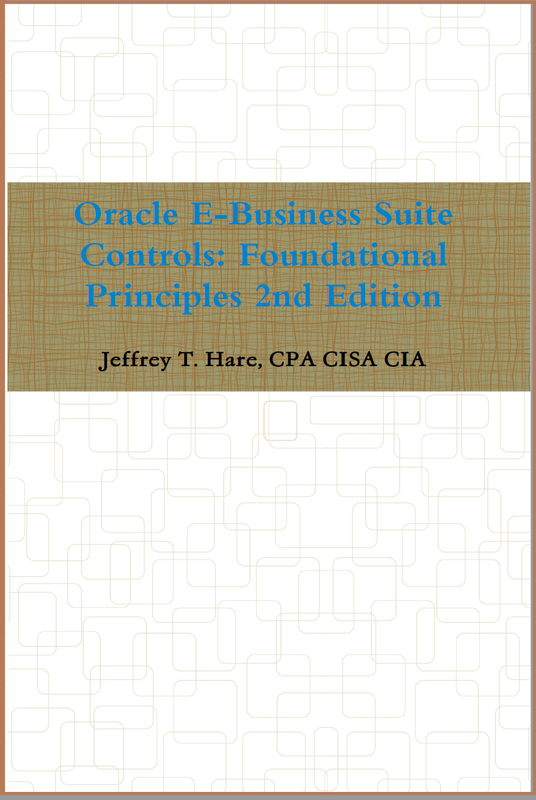 It will be called "Oracle E-Business Suite Controls: Foundational Principles" and I hope, hope, hope to have it done by the end of April. 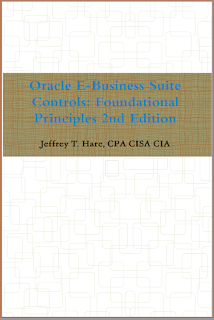 So... ready for it to be completed so it can be a resource for organizations running Oracle E-Business Suite. Then... it will be onward towards writing a similar book for ERP Cloud.